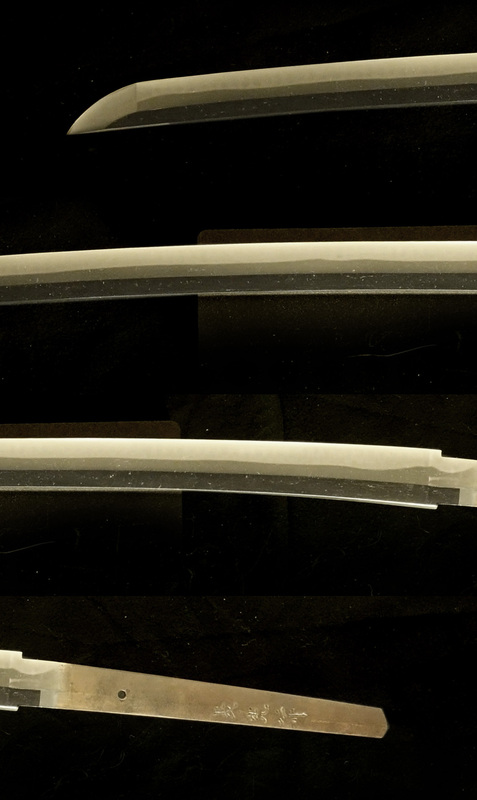 class swordsmith. 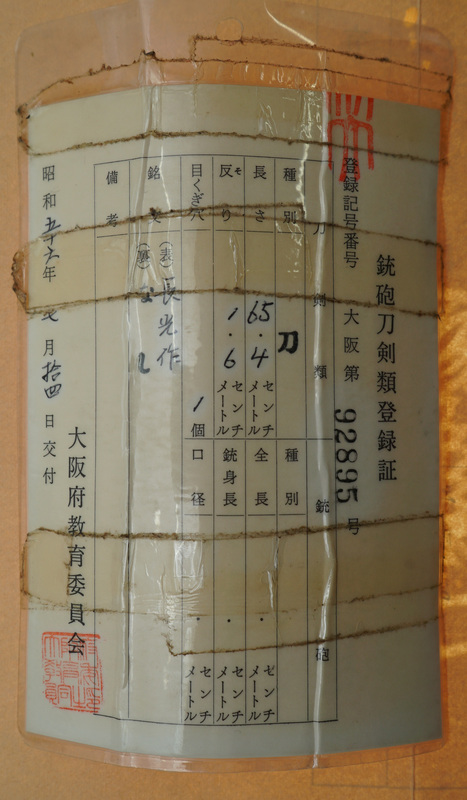 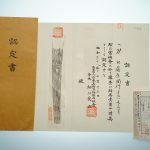 He was also called “一龍子 長光”(ichiryuushi nagamitsu). 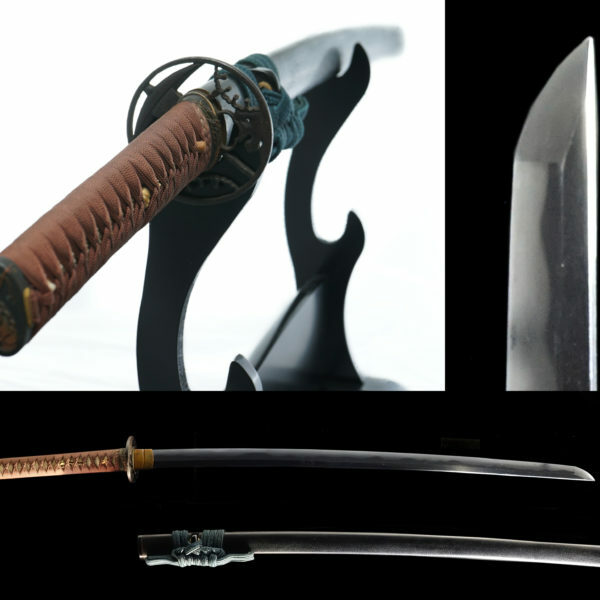 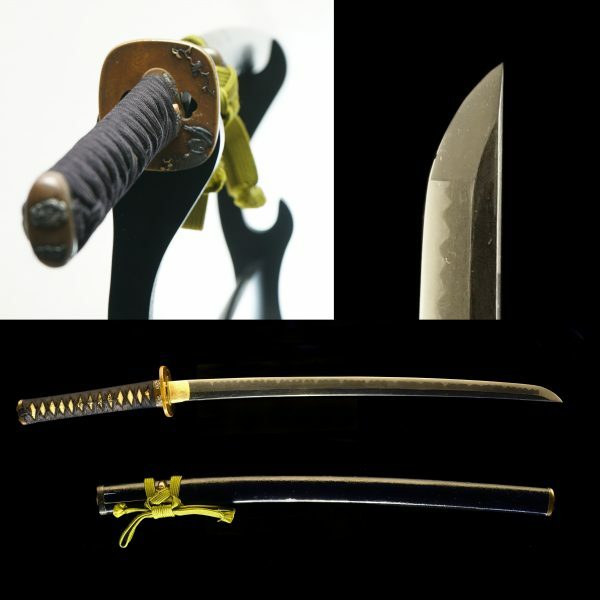 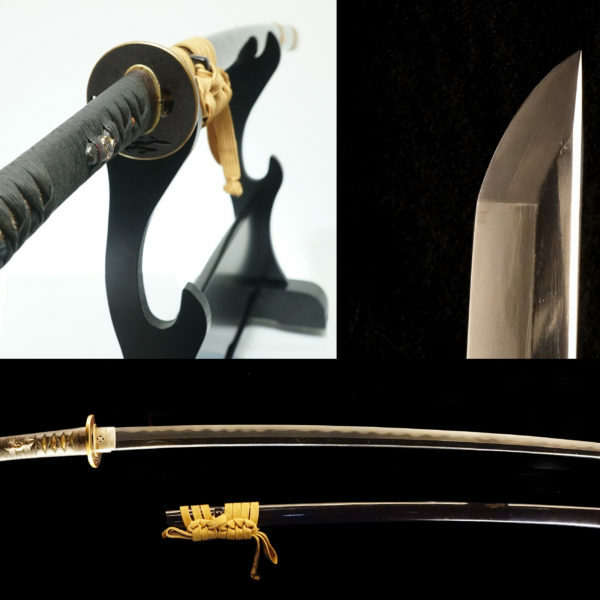 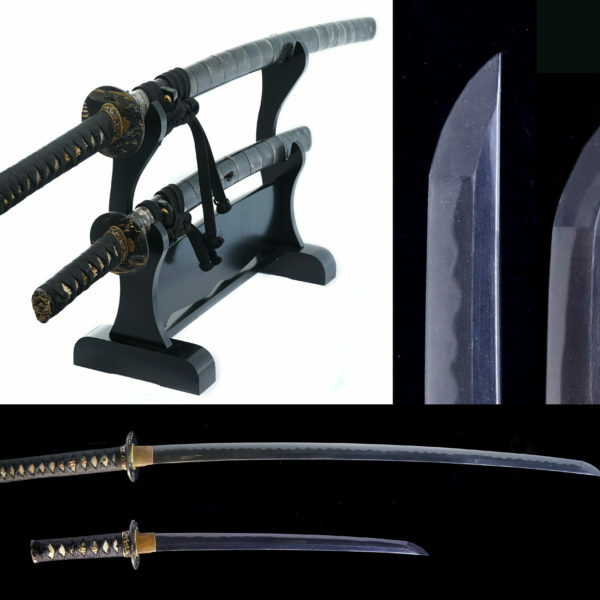 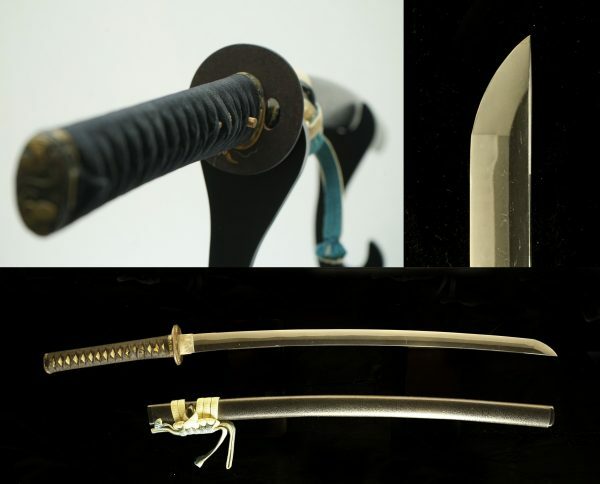 His blade is popular among with military swords collector. 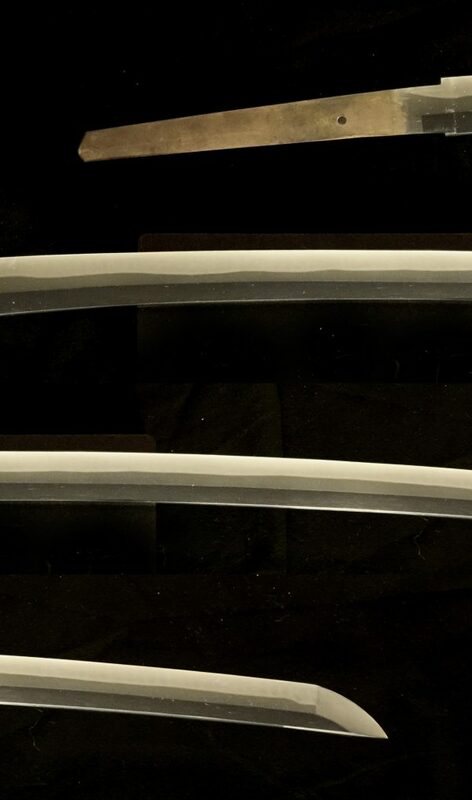 on shakudou-nanakoji. Also MENUKI are gold colored snake guard. 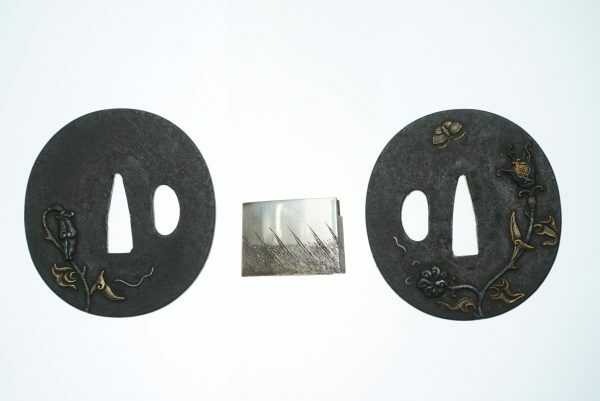 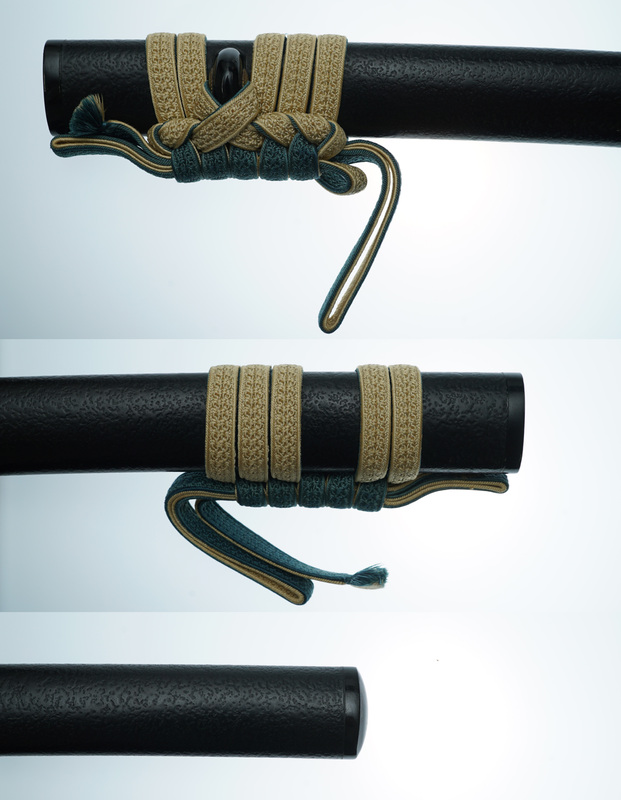 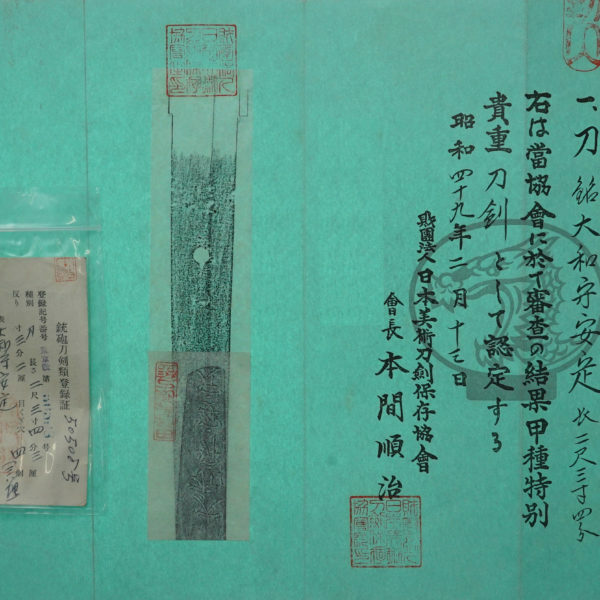 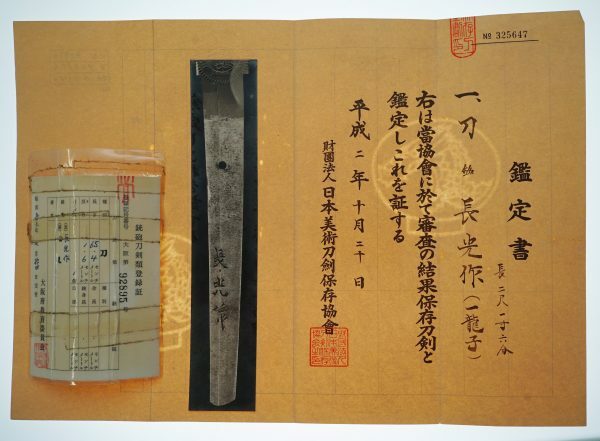 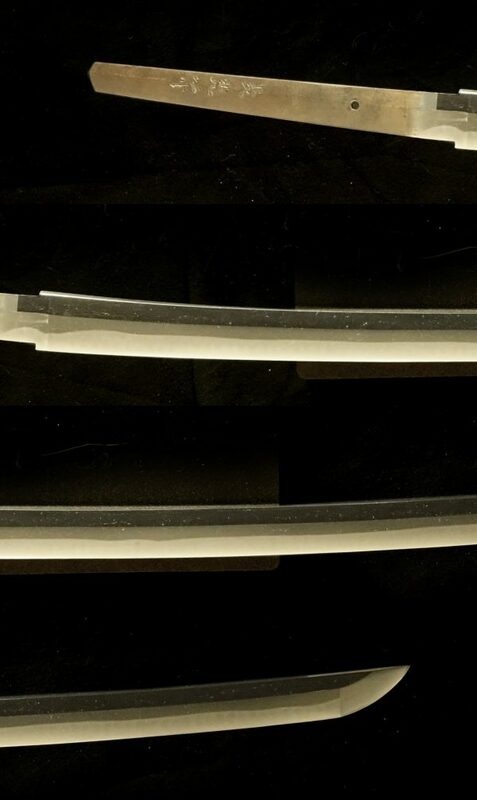 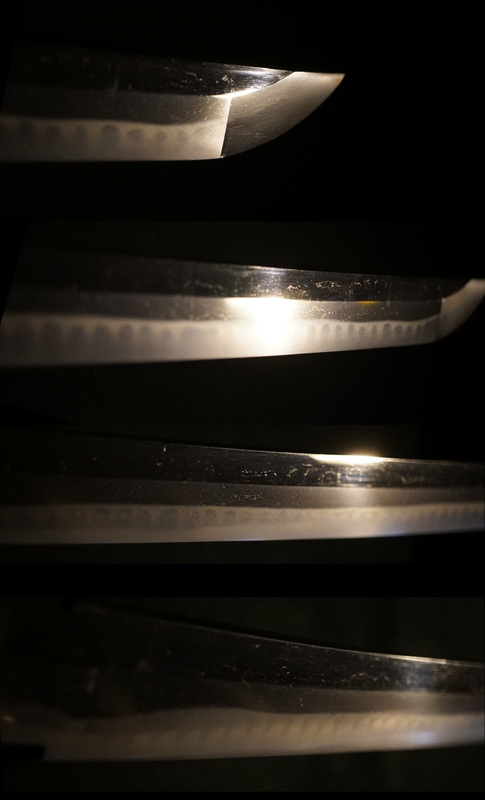 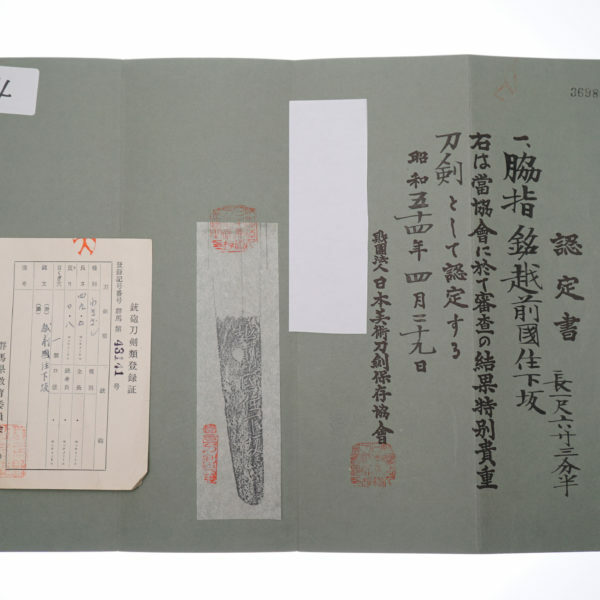 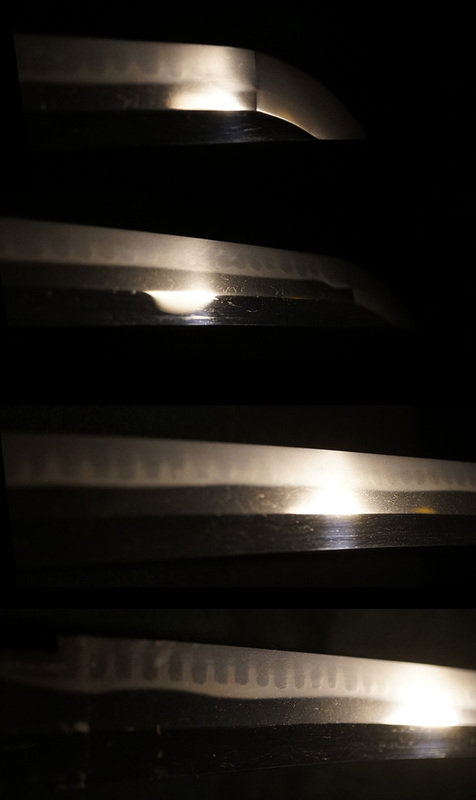 The scabbard is lacqured in black with ishimeji (stone surface). 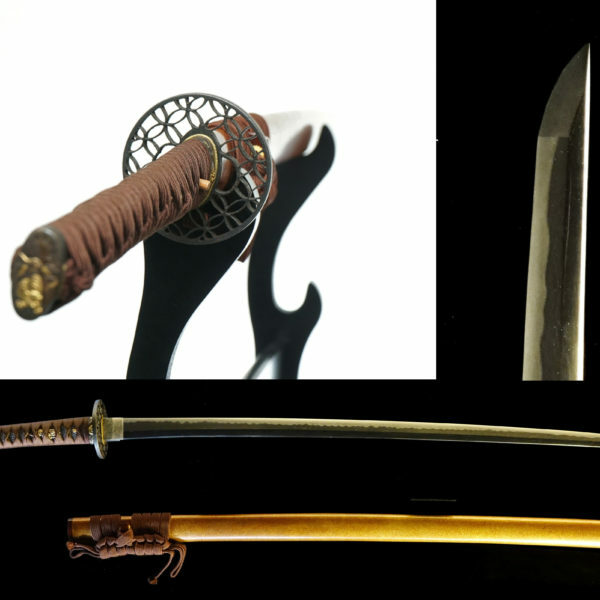 with carved gold and silver color metals.